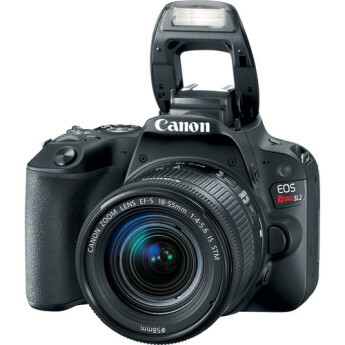 The Canon EOS Rebel SL2 is an entry-level digital SLR that packs a lot of Canon's latest tech into a compact, portable body. It has solid image quality, an easy-to-use interface and good wireless connectivity. Canon's EOS 200D / Rebel SL2 is a compact DSLR aimed at photographers and vloggers buying their first interchangeable lens camera. Replacing the four-year-old EOS 100D / SL1, it offers a more sophisticated point-of-entry than the cheapest DSLRs and a smaller body to boot. It's not quite as small and light as the EOS 100D, but the EOS 200D is significantly more compact than Canon's other entry-level DSLRs (although it's only 32 grams lighter than the EOS 1300D which has now been on sale for more than a year). DSLR cameras were once seen as these big, beastly pro-spec machines that you wouldn't want to lay hands on unless you had an encyclopaedic knowledge of photography. How times have changed, eh? 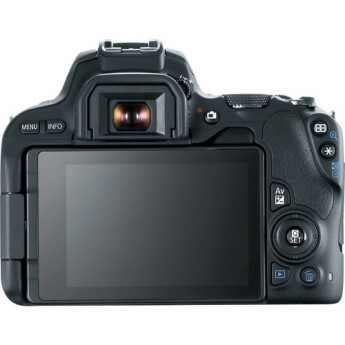 The new Canon EOS 200D represents a big step forward from the 4-year-old 100D / SL1 model, with a deeper hand-grip, vari-angle LCD screen, faster Dual Pixel Live View auto-focusing system, 1080p movies at 60fps, Bluetooth connectivity and longer battery life. 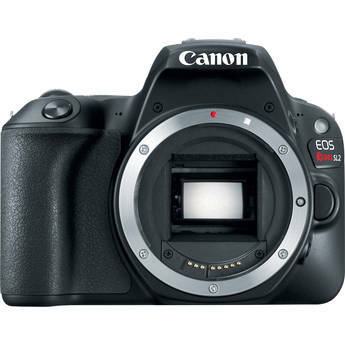 A very likeable entry-level DSLR from Canon that clearly has the edge over its less advanced, albeit more affordable EOS 1300D sibling. Small, lightweight, ground breaking dual pixel AF, articulating screen, updated 24MP sensor, latest digic 7 image processor.Performed flawlessly with the 55-250mm IS STM and 35mm IS STM Macro.Attached images are with no sharpening. Canon's Digital Lens Optimizer does the magic. I love the ease of use. I am a pursuant amature who wishes to produce wow inducing photos. I have owned several Canon DSLR cameras. This is by far the best camera I have owned! Wow, definitely one of the best cameras of Canon since it has been upgraded to the latest features. Definitely worth!! Go for it!! It has all the features required for a beginner. Note:- Canon camera body does not have in body image stabilization, canon provides image stabilization through lens and camera body depends on lenses for image stabilization, if lens does not support image stabilization camera will not be able to stabilize. I have to agree with the other reviewers. I downsized from a Canon 7D and I have to say this little camera out shines the 7D for me. The size and weight is perfect for what I really need. A powerful little camera. 1. Got this DSLR just because 55mm - 250mm lens cost me 20k if i will buy it seperately in future. 2. Lens spec 18mm - 55mm IS STM & 55mm - 250mm IS STM comes with image stabilizer with 4 - 5.6 f. 3. 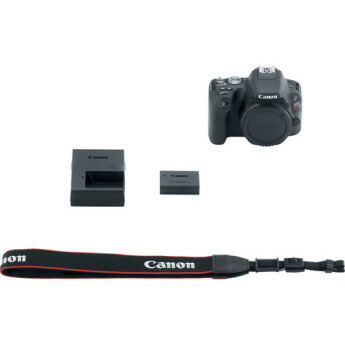 Outstanding DSLR from CanonI've used Canon cameras for over 40 yrs. and I haven't been disappointed yet by one their products. 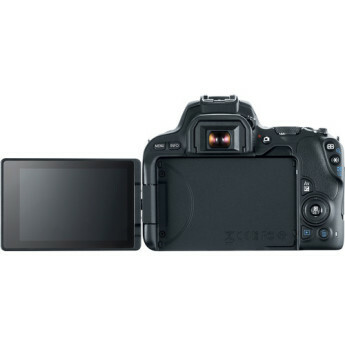 This camera is a great tool for digital photography. Light weight, compact yet has the bells and whistles of many higher priced cameras. Particularly like the WiFi feature.